Where did the last year go?? It seemed to fly past sooo quickly. 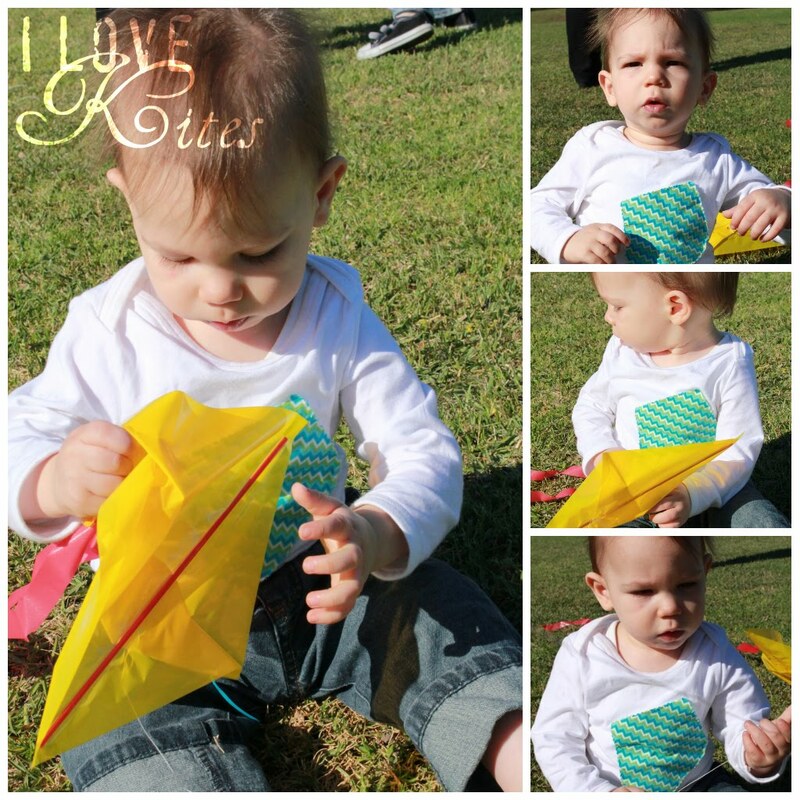 I had planned for the last 6 months at least that I wanted to have a kite birthday party for Noah's 1st birthday. Mainly that a) perfect time of year, b) that our house backs directly onto a gorgeous little park and c) what a perfect way to celebrate his 1st special birthday! So theme done - it then came time to think about what to do! 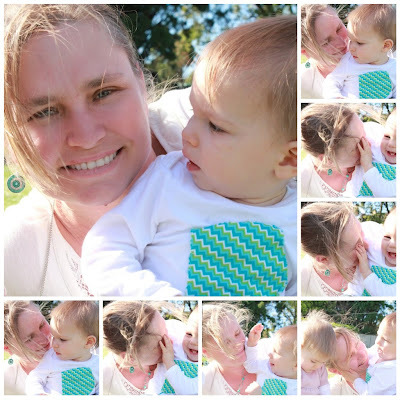 I initially found inspiration from Martha Stewart (great surprise there!). 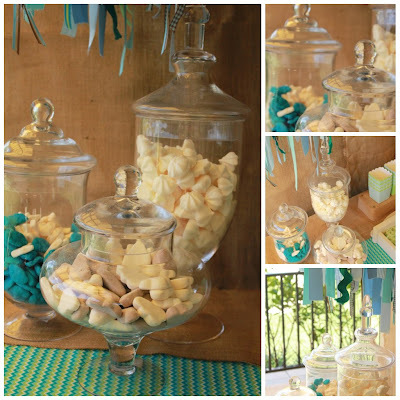 I found her gorgeous blue, taupe and white lanterns AGES ago and loved the colour scheme. I wanted to keep it neutral and rustic. 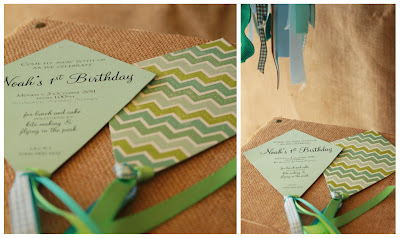 I then found paper to use for my invites and they had the colours that I liked and in a gorgeous chevron design - which then became the next inspiration. The last inspiration was the hessian and ribbons. My sister gave me all this hessian about 4 years ago! I kept it knowing that I would need it one day - I did! I decided to use it as a backdrop, table covering and also covered all my risers in it! To say I have ALOT of ribbons would call it an understatement - I think if I joined them all together, I could swing over to NYC! 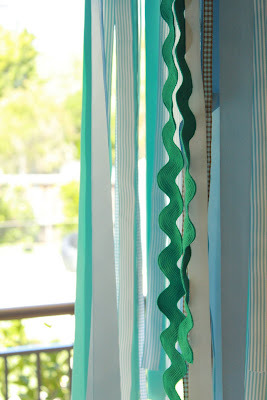 So I decided to make a hanging ribbon wreath on the table - like kite ribbons really! So much inspiration! 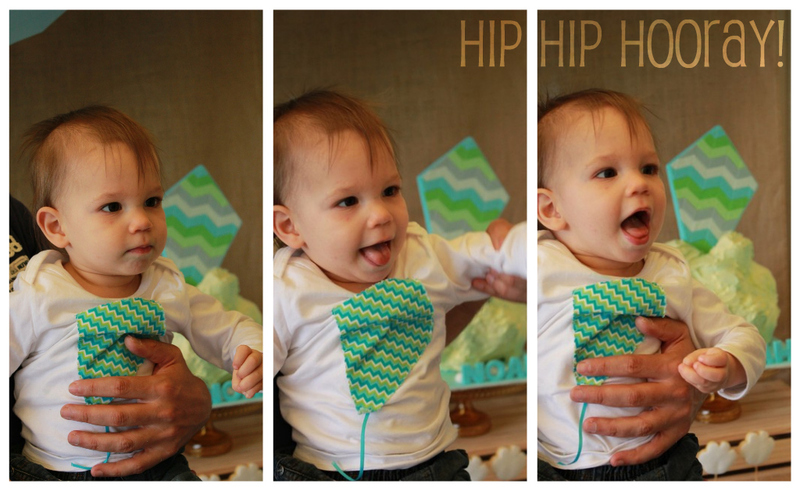 My main inspiration was my little man! We could not have asked for a more perfect little soul to complete our family - he brings such happiness and giggles to our house - I could not wait for him to be the star of his own show! So without further ado, onto Noah's show! The table - not a hint of white in sight - just as planned! The initial inspiration - my Martha Stewart lanterns! These hung down all over our back entertaining area. 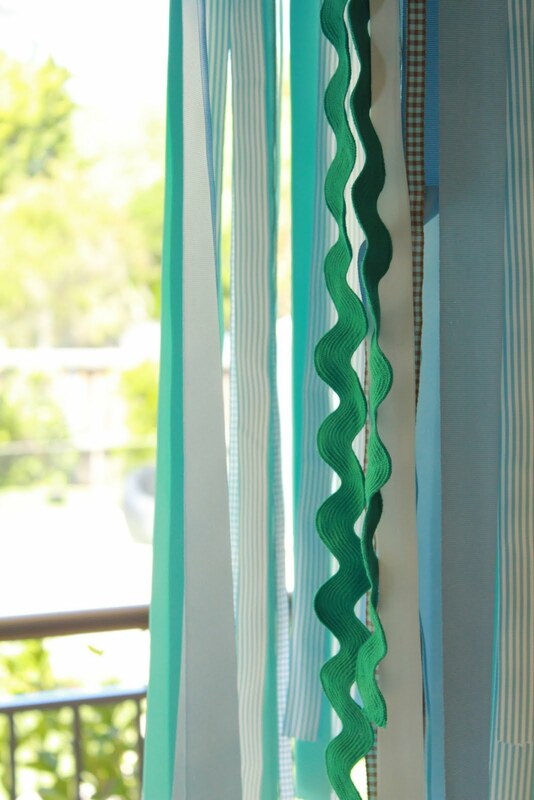 My hanging ribbon wreath. I loved all the shades of green, blue and teal. 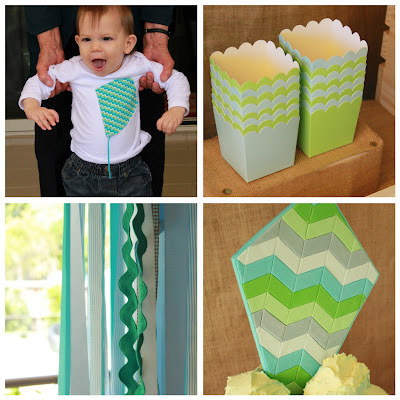 Even my ribbons are chevron inspired! The invitations. I wanted to send out mini kites to everyone. I found this scrapbook paper and loved the colours and design. I then made out my invites and assembled with the ribbons - I loved putting these together! How lucky was I to then find that chevron fabric in the same colour scheme at Spotlight and I got the last 2 metres of the bolt! It was fate! 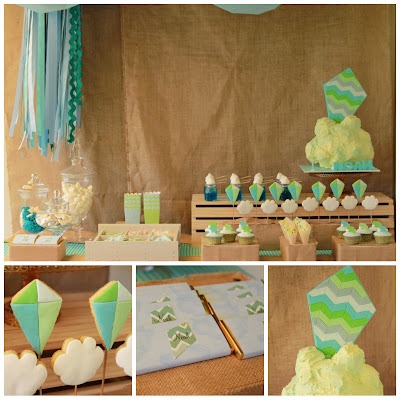 The scalloped treat boxes had the chevron look when put together. 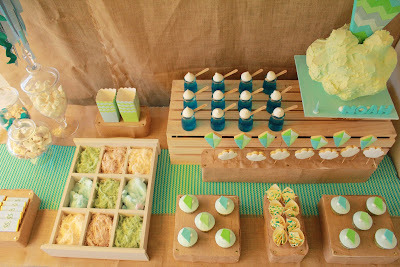 I got these gorgeous treat boxes froom Sweet Style. 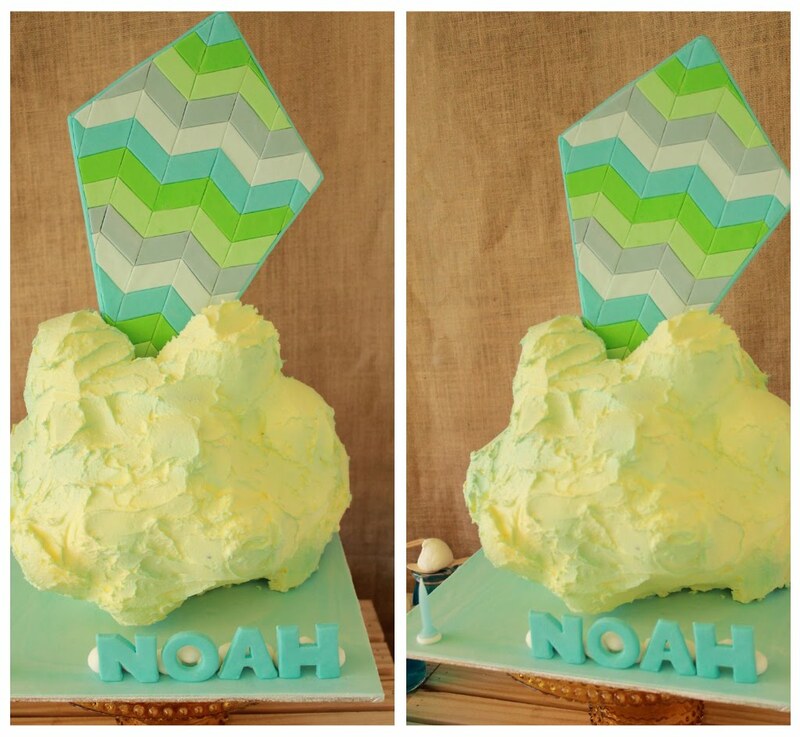 The chevron design was also the fondant design on my kite cake. Last minute addition! 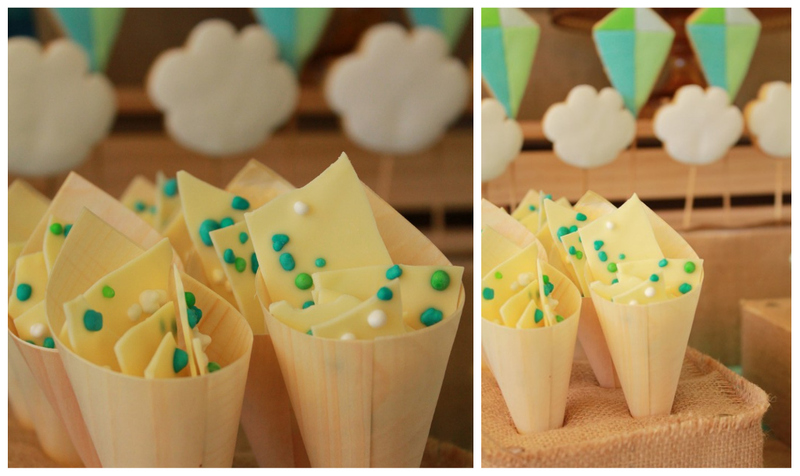 I wanted to make something to put in these fantastic wooden cones from Sweet Style. I decided to make white chocolate bark - but a little different! It did have to fit in with theme of course, so while looking in the confectionery aisles, I came across Wonka Nerds (had never seen these before!) and they were the perfect colour. The sweet of the white chocolate with the sour of the nerds was actually REALLY nice!! I loved how they stood to attention in their hessian home! These candy jars are also from Sweet Style - how gorgeous are they??! They look fantastic sitting under all the ribbons!! What to put in them?? Can I say that I am loving the lolly selection in the supermarkets at the moment - amazing when you actually look! I decided on chocolate and vanilla marshmallow clouds (front), blueberry sour clouds with milk bottles (back left) and mini vanilla bean meringues (back right). Little chocolate bars. 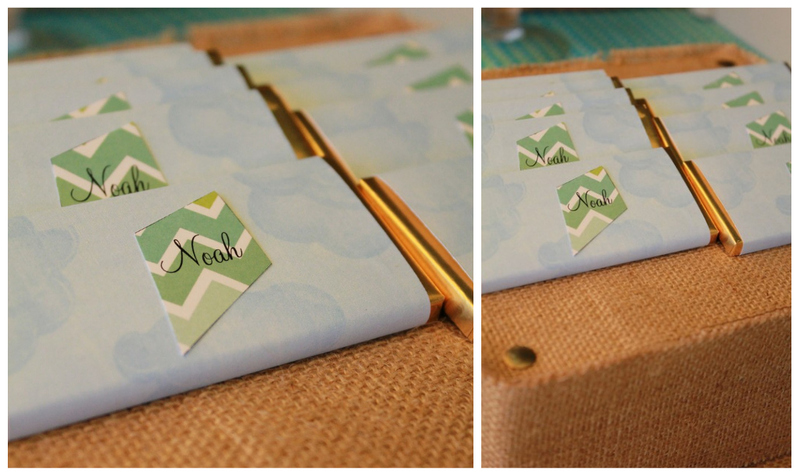 I found the perfect image of clouds online and wrapped the printables around my trusty Aldi chocolate bars (YUM)! I then cut out little kites from my invitation paper! Simple and effective! I wanted to keep everything simple - colours and lines and to keep things rustic! I decided to display the kite and cloud cookie pops in a row against the crates. Gave everything the right height! 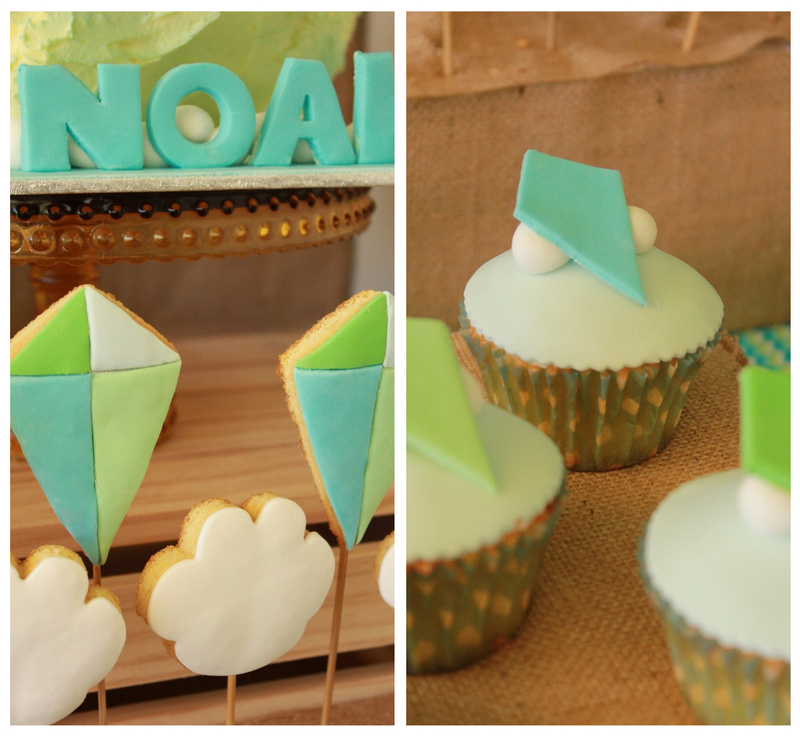 The cupcakes were vanilla cupcakes with vanilla buttercream and had the same coloured kites with clouds on top. I found this "spice rack" at Bunnings a while ago - marked down and dying for something to be done to it. I never saw it as a spice rack - I saw it as perfect for displays of food! 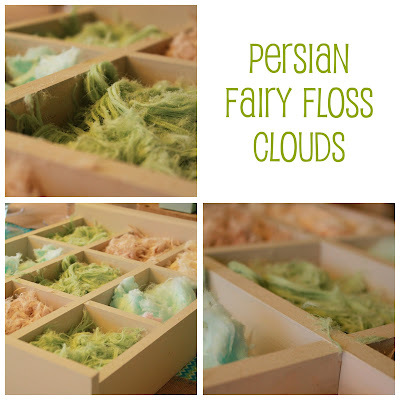 So I painted and sealed it and chose persian fairy floss for this as it was the perfect cloud look and it tastes great and it is the right colour! There was a mix of pistacchio, vanilla and chocolate persian fairy floss and there was also normal blue fairy floss (allergy friendly)! This was one of my favourite items. 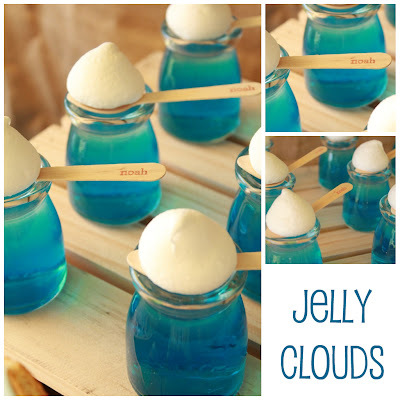 Jelly clouds. 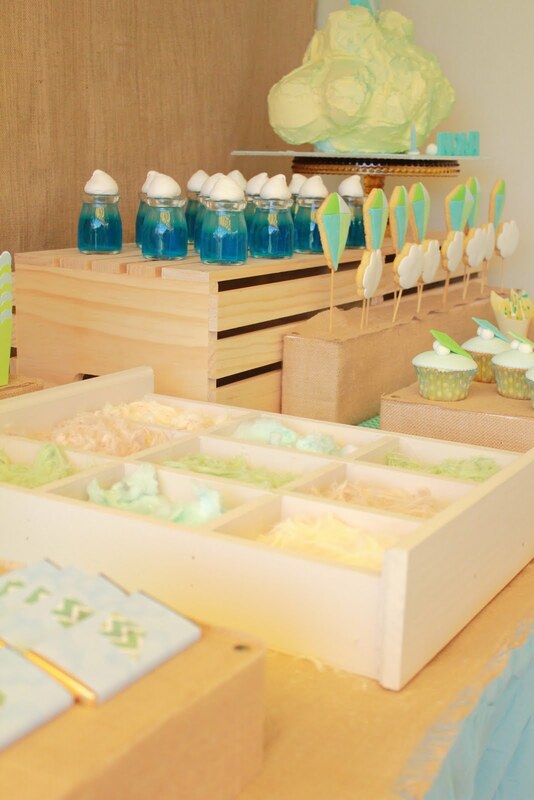 I wanted to put jelly in these beautiful little jars (you can buy them at Sweet Style). 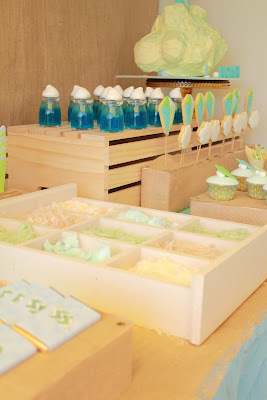 I made the jelly a mix of the blue berry with the clear lemonade and then topped them with personalised Noah spoons (spoons and name stamp from Sweet Style) and a fluffy marshmallow! This was my favourite item! Then there is the cake! I iffed and arred about what cake to make. The party was only a small one for family and close friends. I then decided to go different and go rustic and nothing too perfect! I wanted something that just matched! I LOVED it! 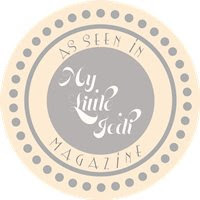 Th beautiful amber hobnail cake stand is from Leanne at Sweet Style. The cloud is a lemon blueberry cake layered and covered in lemon scented swiss meringue buttercream - actually the bottom half is carved styro and the top half is ALL cake. I wanted to have the kite look like it was coming through the clouds. 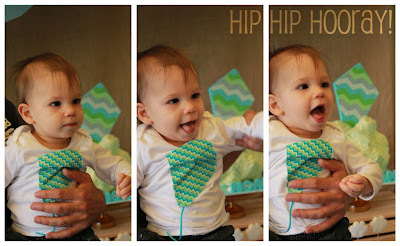 The chevron design also continued onto the kite - I loved the geometric lines! So with lunch out of the way - it was time to make some kites. 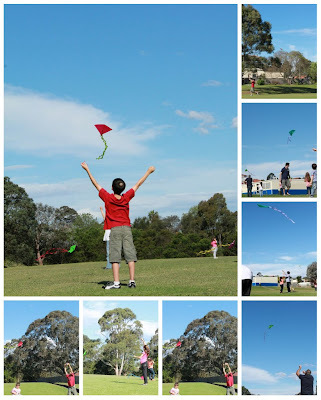 I purchased kite kits for the kids and with a little help (ok well alot of help) from the mums, the kites were assembled and we made our way out to the park! My favourite photo of the day! 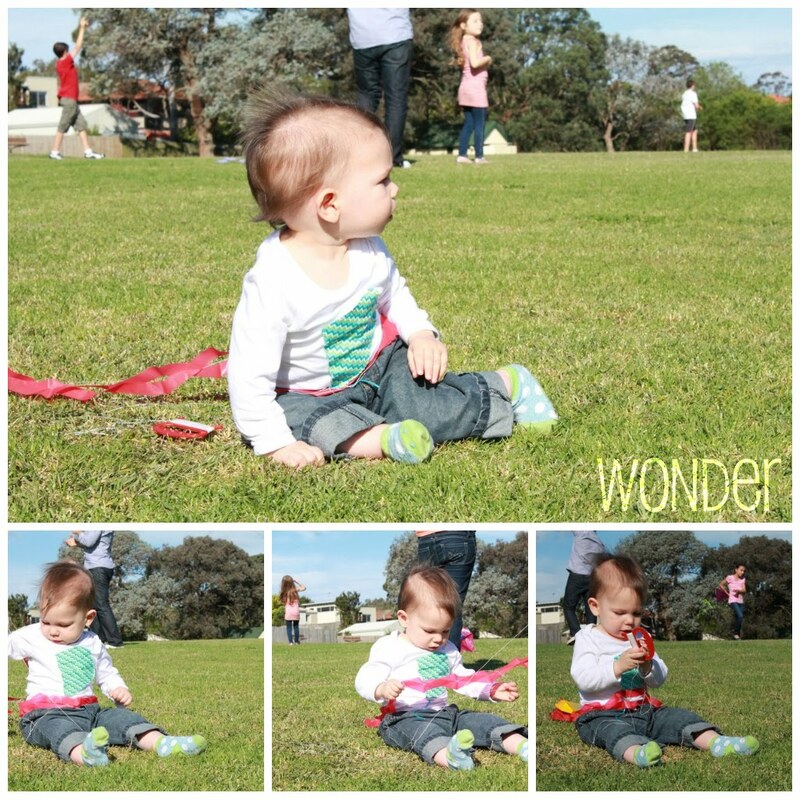 He was completely filled with wonder! Noah had his own kite to play with and found alot of interest in the string! 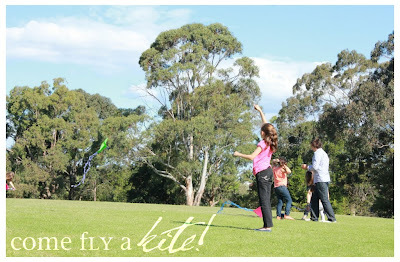 We spent the better part of the later afternoon out in the park, running around like kids and finding the simple joy in flying kites! These images say it all! L. O. V. E! It was then time to cut the cake and sing Happy Birthday - Hip Hip Hooray! 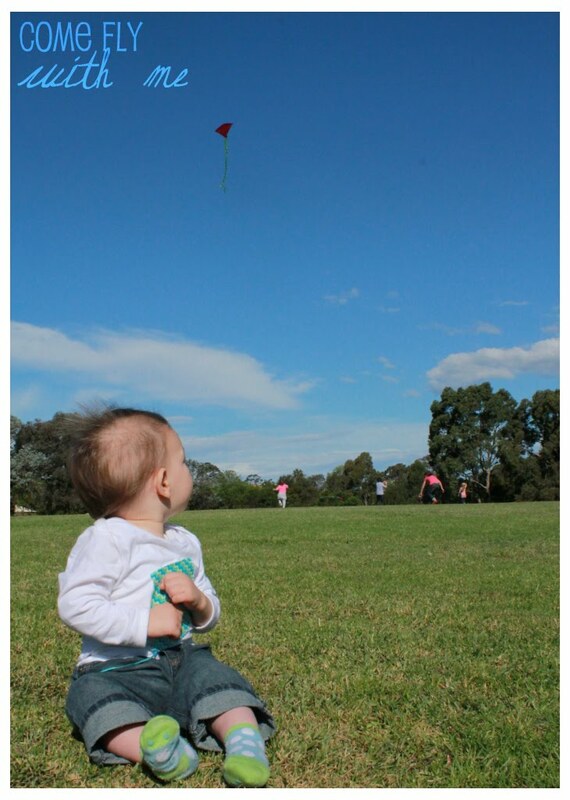 I hope you enjoyed that little journey into Noah's Kite 1st Birthday. 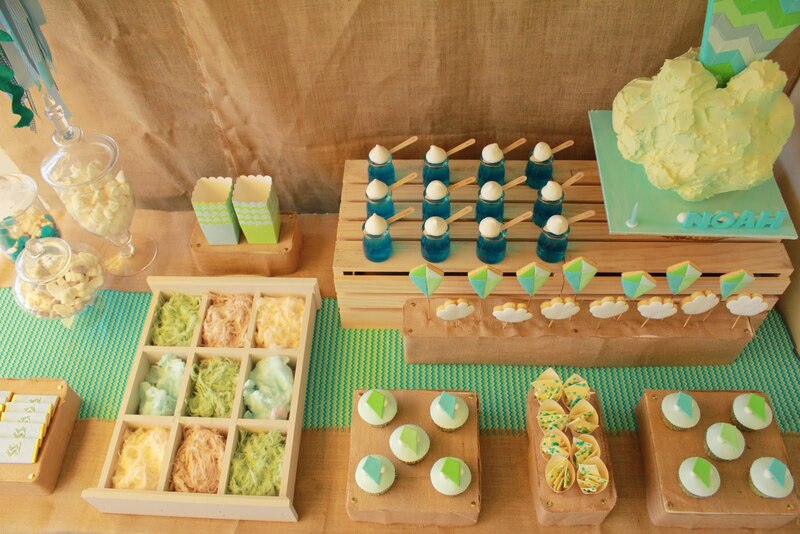 We had such a beautiful day, with good food, good friends, good times and great cake! Before we knew it, it was dusk and the time had flown by ..... almost like the past year! Happy 1st Birthday to our gorgeous little Noah. Noah's Kite Party was featured on the dessert table guru Amy Atlas blog today! See it here. Yeah - 3 from 3! 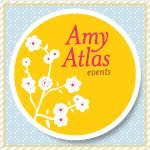 Thanks for the feature Amy! Everything is gorgeous... You are truly talented. Thank you ladies! 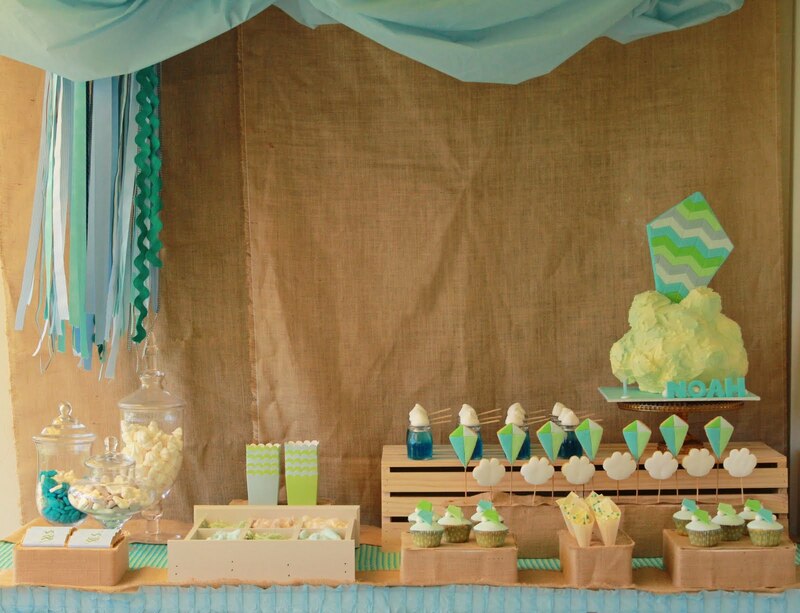 I love to make the kids parties just a little bit special!